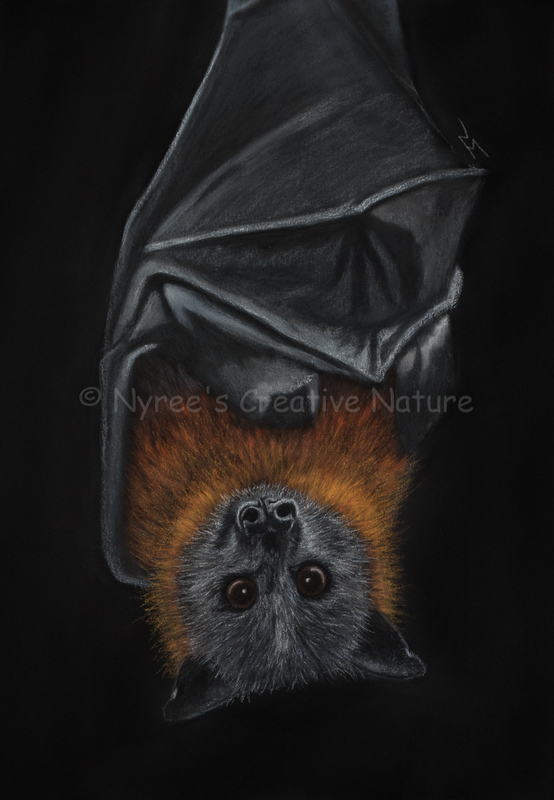 “Siegfried” the Grey-Headed Flying Fox. Pastel on A4 Paper; Framed, 43x53cm (NFS). Cards and Limited Edition Giclee Prints available in my Etsy Store. 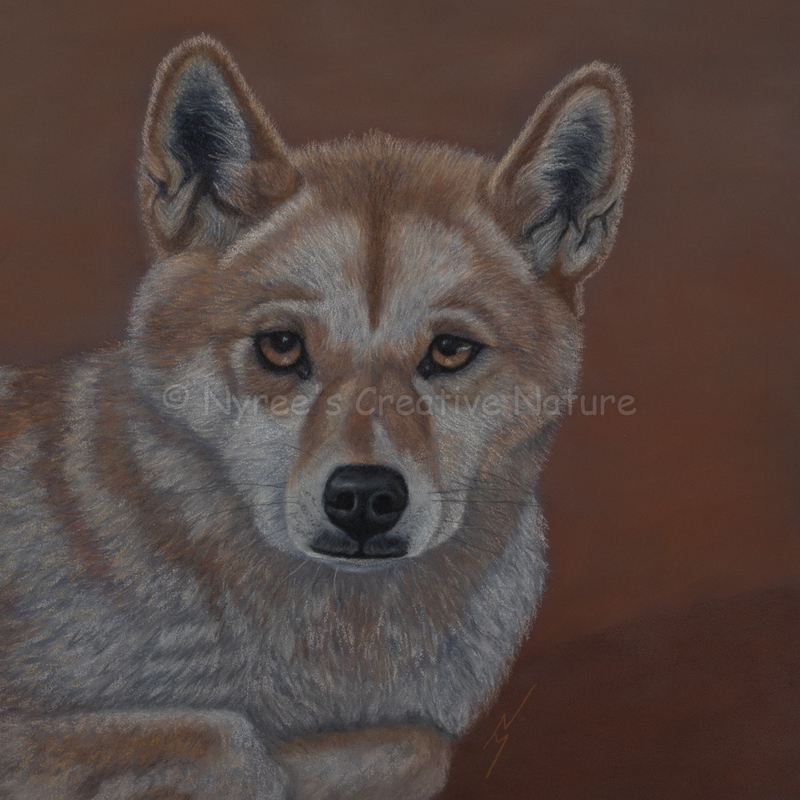 “Honey” the Dingo. Pastel on A3 Paper. Framed; 45cm x 45cm ($400). 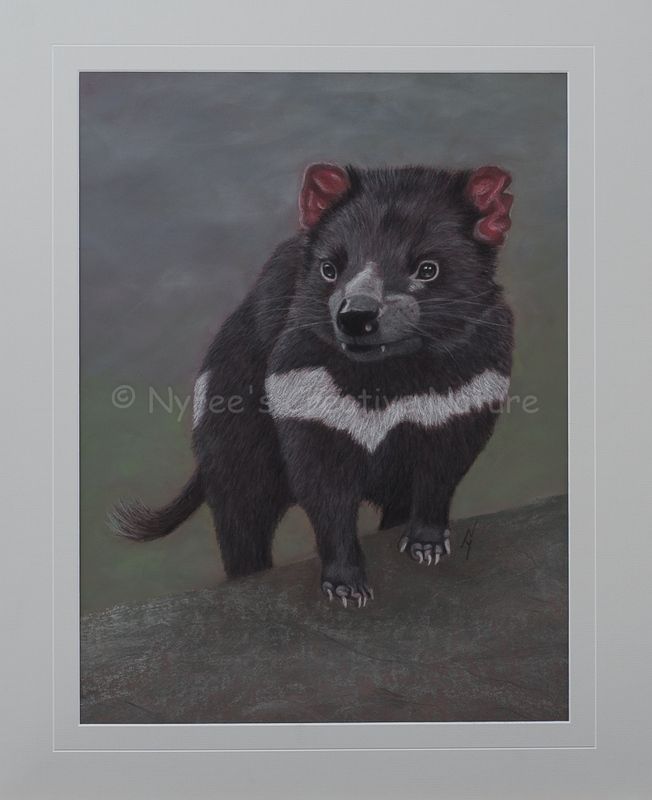 “Vegemite” the Tasmanian Devil. Pastel on A2 Paper. (SOLD). Cards and Limited Edition Prints available. 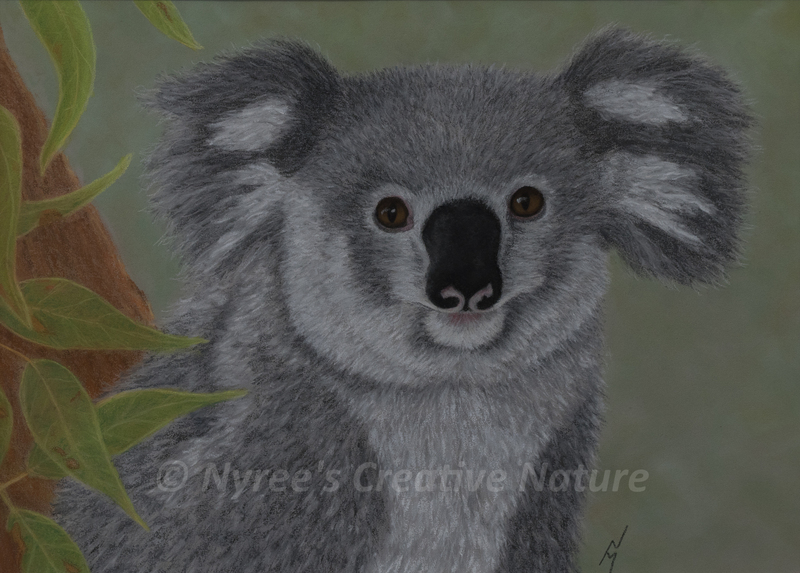 “Cass” the Koala: Pastel on A3 Paper; Framed; 53cm x 43.5cm ($350). Cards & limited edition Giclée Prints available. 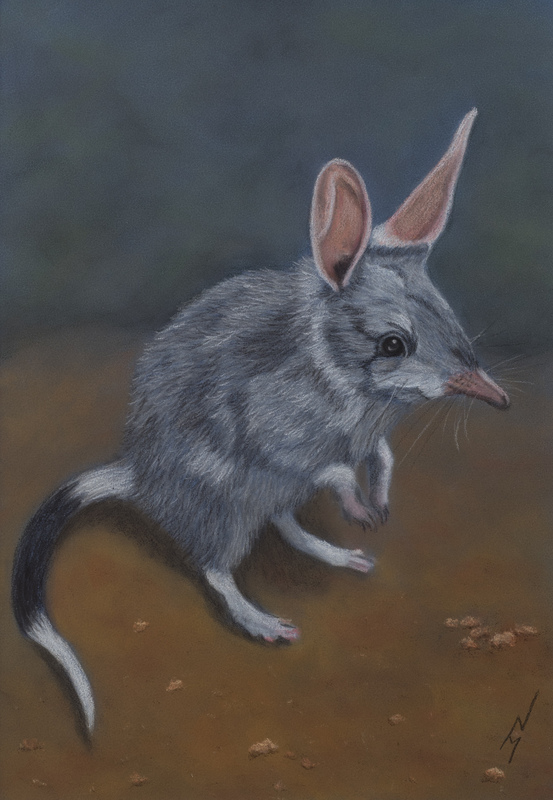 “Billy” the Bilby: Pastel on A3 Paper; Framed; 43.5cm x 53.5cm ($450). 1st Prize, Pastels, “Splash of Milk Art Award”, 2017. Cards & limited edition Giclée Prints available. 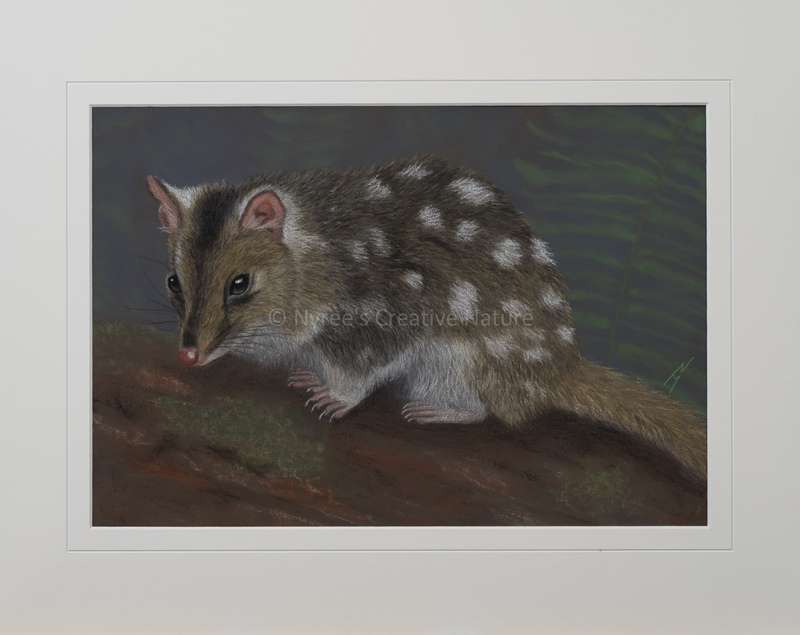 “Dot” the Eastern Quoll: Pastel on A3 paper, Framed; 54cm x 44cm ($450). 1st Prize, Animal Portraiture, “Drawings, Portraits and Miniatures” Exhibition, QAS, 2017. Cards & limited edition Giclée Prints available. 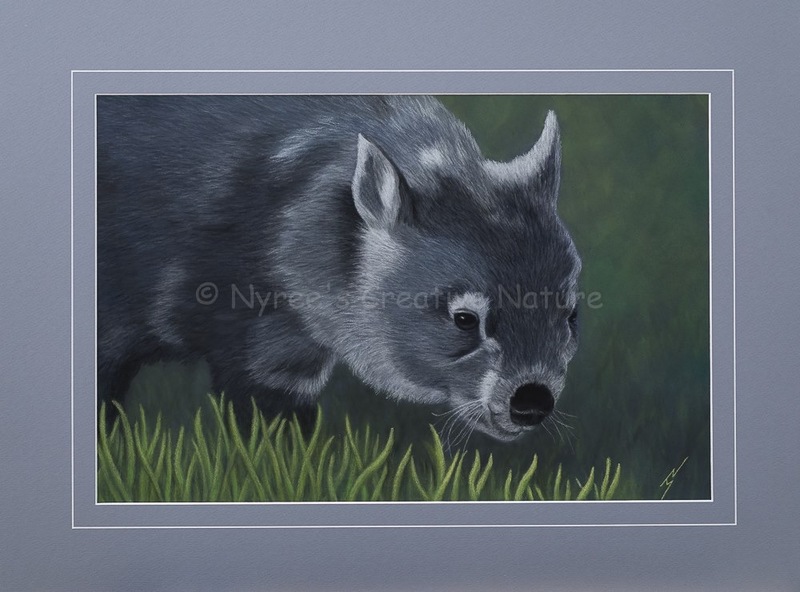 “Sooty” the Wombat: Pastel on A2 paper; Framed; 71.5cm x 54.5cm ($350). Cards and limited edition Giclée Prints available. 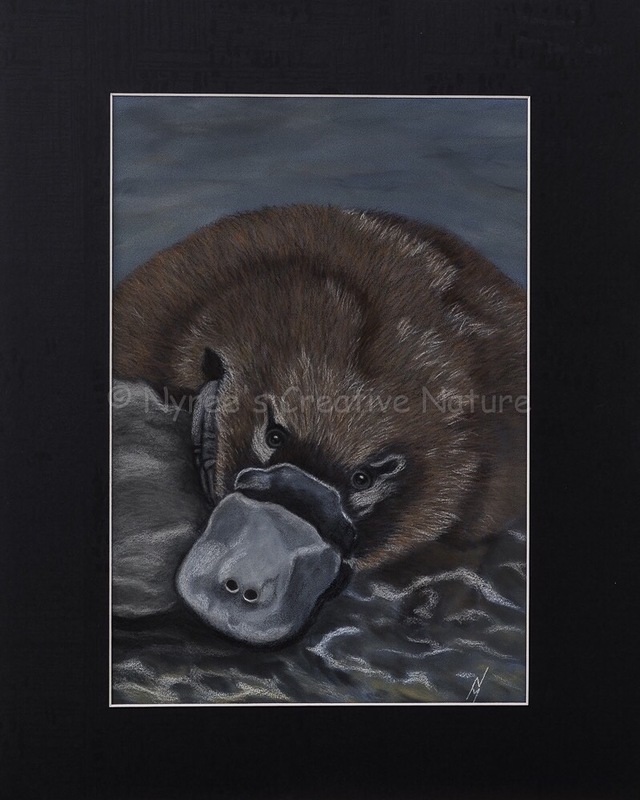 “Ambrose” the Platypus: Pastel on A3 paper; Framed; 43.5cm x 53.5cm ($450). 2nd Prize, Pastels, Queanbeyan-Palerang Regional Council Exhibition, QAS, 2016. Cards & limited edition Giclée Prints available. 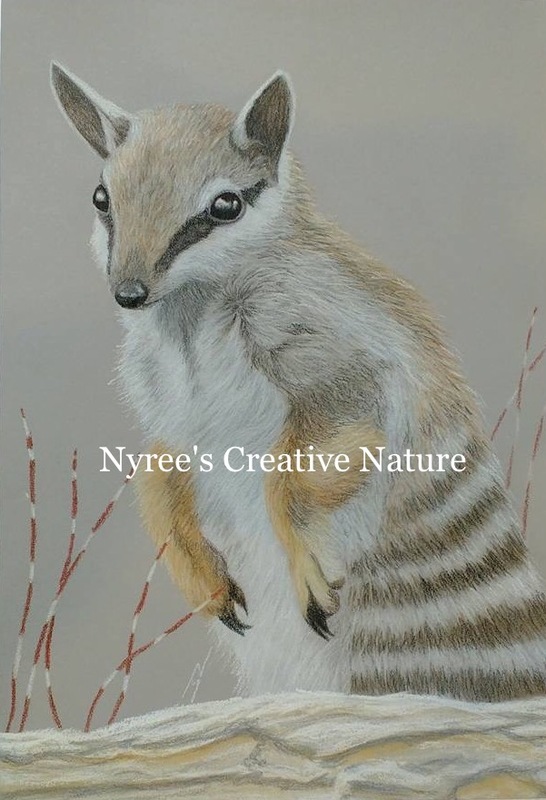 “Dave’s Numbat”: Pastel on A3 paper. (SOLD). Cards & limited edition Giclée Prints available. 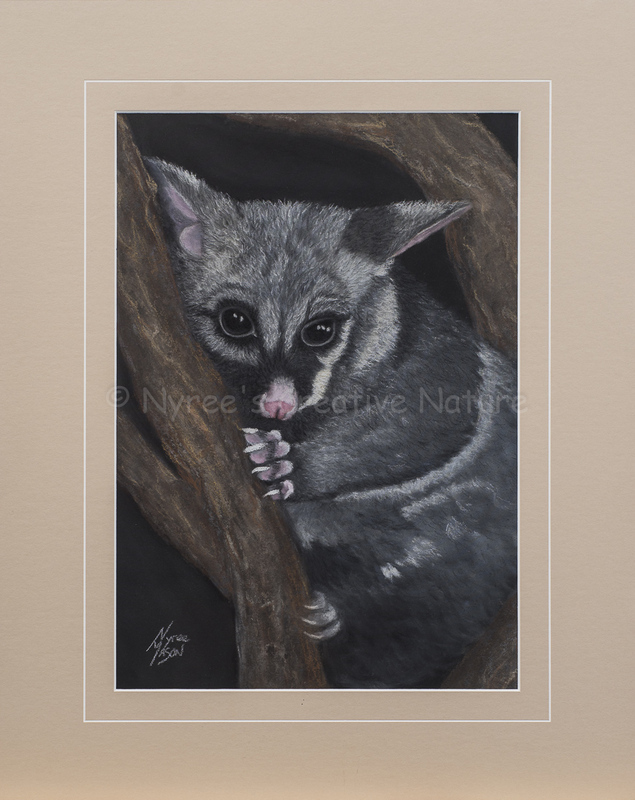 “Twinkle-Toes” the Brushtail Possum: Pastel on A3 Paper. (SOLD). 1st Prize, Pastels, Queanbeyan Leagues Club Exhibition, QAS, 2016. Cards & limited edition Giclée Prints available.